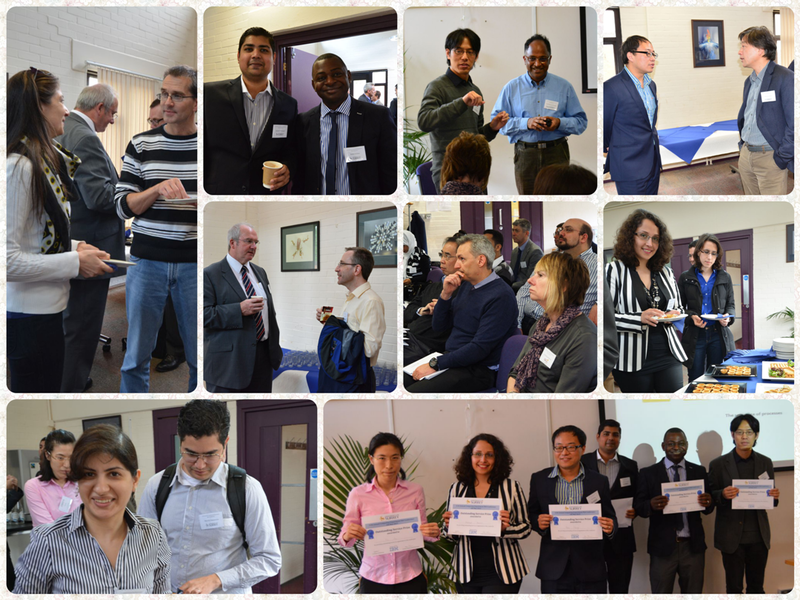 The 12th Annual PhD Conference was organized by the Department of Computing at Treetops, Wates House, and it proved to be yet another great success. 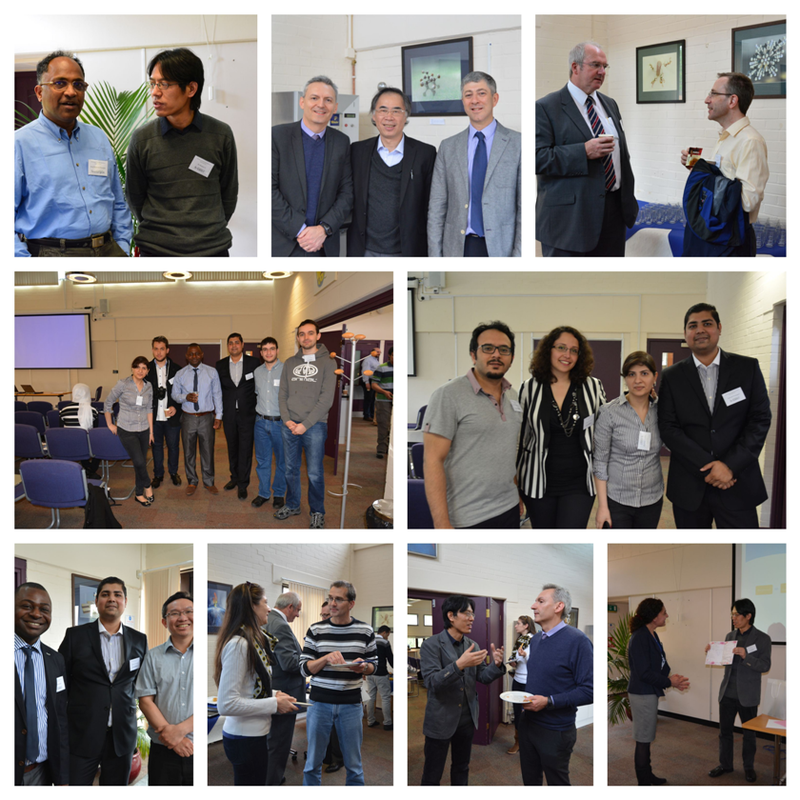 It provided an interactive and friendly platform for our PGR students to present their work, share ideas with each other, and discuss about their research experience at Surrey in general. More importantly, it was a good opportunity for all PGR students and staff to develop a more coherent and broader vision of research work going on in the Department. The Conference was opened by Prof Steve Legg, Head of IBM’s University Relations in the UK and Royal Academy of Engineering Visiting Professor of the Department, who has been actively supporting the Department’s collaboration with IBM on both teaching and research for several years. Prof Legg’s opening address was followed by the morning session keynote talk given by Prof Mahesan Niranjan from the University of Southampton, who introduced his group’s research on applying Machine Learning to problems in Computational Biology including regulation of cellular protein levels, embryonic development and systems level analysis of biological functions. In the afternoon we had another keynote speaker Nick Coleman who is the Global Head Cyber Security Intelligence of IBM and a Permanent Stakeholder of the European Security Agency (ENISA). Nick’s talk focused on Cyber Security, covering aspects such as what we can understand more from events, attacks, incidents, and the data behind them. He emphasized what data we can collect and analyse to help us understand the Cyber Security challenges we are facing. The main track of the Conference was composed of three sessions for oral presentations and one poster session. 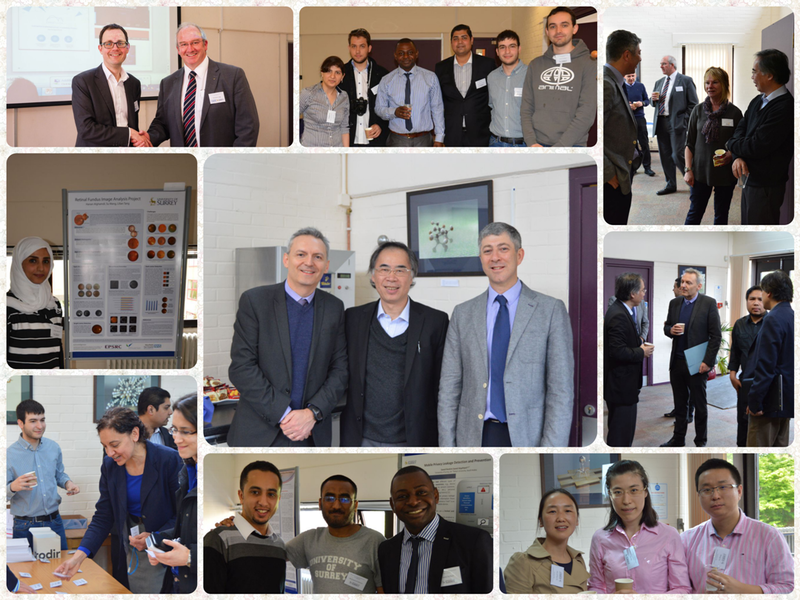 Five PGR students presented their accepted or published work, four PGR students presented their work in progress or under review, and five PGR students presented their posters which included two accepted papers and three first-year students’ research work in progress and research plans. Best Paper: Ran Cheng presented his work of an accepted paper on a new evolutionary model-based method for representing and searching non-dominated solutions. 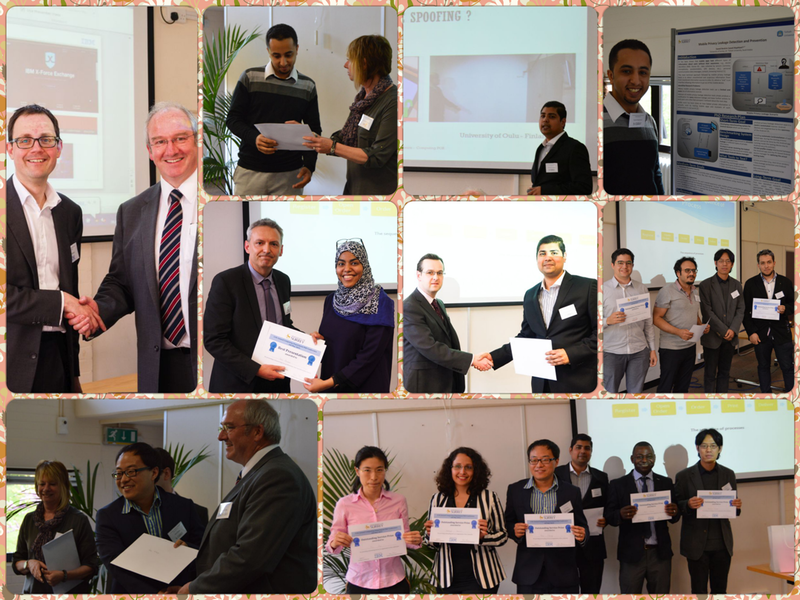 He received a certificate and an £100 Amazon voucher from Prof Steve Legg who represented the prize sponsor IBM. Best Research Potential: Santosh Tirunagari presented his work on the detection and evaluation of finger vein spoofing in monogenic scale space. He received a certificate and a £100 Amazon voucher from Matt Lewis who represented the prize sponsor NCC Group. Best Presentation: Nouf Aljaffan presented her work on an innovative concept of proactive password checkers called Visual Password Checker (VPC) which she hopes can make proactive password checkers more informative and useful to end users. She received a certificate and a £100 Amazon voucher from Anthony Phipps who represented the prize sponsor Lloyds Banking Group. Best Poster: Saeed Alqahtani presented a poster of his ongoing research and his future research plan on privacy leakage detection and protection for mobile devices. He received a certificate and a £50 Amazon voucher from Prof Gloria Benson who represented the prize sponsor Consult Hyperion. In addition to the research prizes, six PGR students, Ran Cheng, Yin Hu, Aamo Iorliam, Veronika Kuchta, Shahrzad Shapoori, Santosh Tirunagari, who organised the Conference as members of the Organising Committee and Technical Programme Committee, received their certificates of Outstanding Service Prize (sponsored by IBM) and £20 Amazon vouchers from Dr Shujun Li, the Department’s PGR Director. Three other students of the Department, Marcelo Damasceno, Ataollah Ramezan Shirazi, Andreas Theodorou, who were working hard during the Conference to take pictures, also received their certificates of Outstanding Service Prize (sponsored by the NCC Group) and £10 Amazon vouchers from Dr Li. We would like to express our sincere thanks towards the overwhelming support and attendance by the Computing Department staff and PGR students who attended the Conference and those who submitted and presented their work to the Conference. A big “Thank You” goes to four sponsors of the Conference: IBM, NCC Group, Lloyds Banking Group, and Consult Hyperion, without whose kind sponsorships the Conference would not be possible. In addition to the nine students who helped a lot for the organisation of the Conference, many other people also contributed significantly to the event, including eight judges, 13 reviewers, Sarah Turnbull (former research administrative assistant of the Department), Denise Myers (Departmental Secretary), Dr Shujun Li (PGR Director) and Dr Helen Treharne (Head of Department). Below we list the names of all judges and reviewers. Reviewers: Dr Anna Lisa Ferrara, Dr Lee Gillam, Patrik Huber, Franziskus Kiefer, Prof Paul Krause, Veronika Kuchta, Prof Yaochu Jin, Dr Shujun Li, Dr Mark Manulis, Dr Saeid Sanei, Santosh Tirunagari, Dr Hongying (Lillian) Tang, Dr Stephan Wesemeyer (especially Patrik Huber who is a PGR student of the Centre for Vision, Speech and Signal Processing, Department of Electronic Engineering, all other reviewers are academic staff or PhD students of the Department).